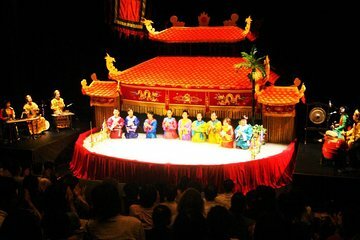 Water puppetry is one of Hanoi’s most important cultural attractions. Originating in the rice paddies of the Red River delta in northern Vietnam, the puppets perform in waist-deep water with their operators hidden behind a screen. After the show, enjoy a dinner of traditional Vietnamese foods at a local restaurant.